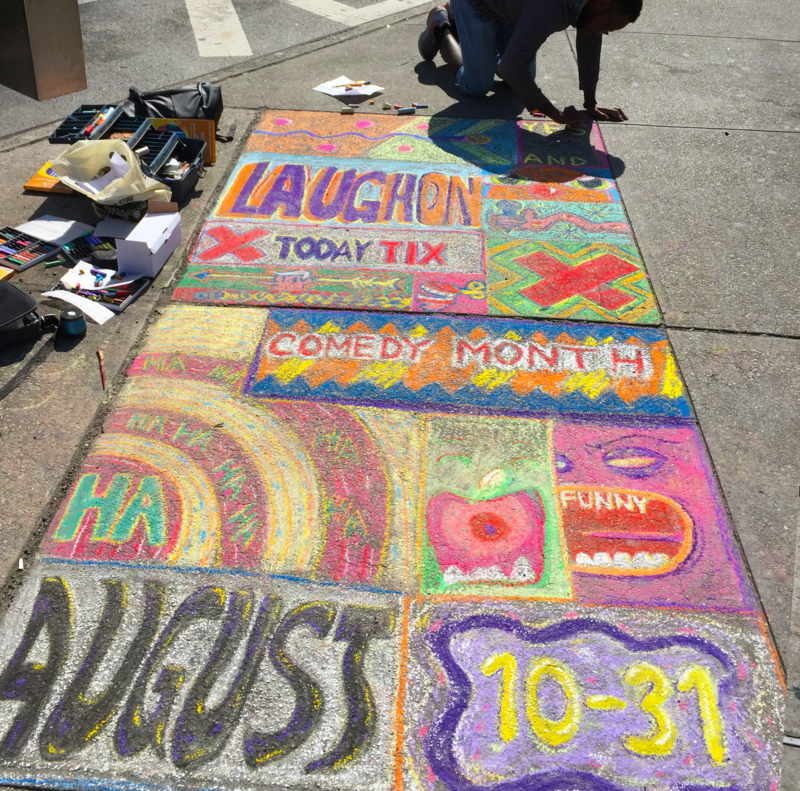 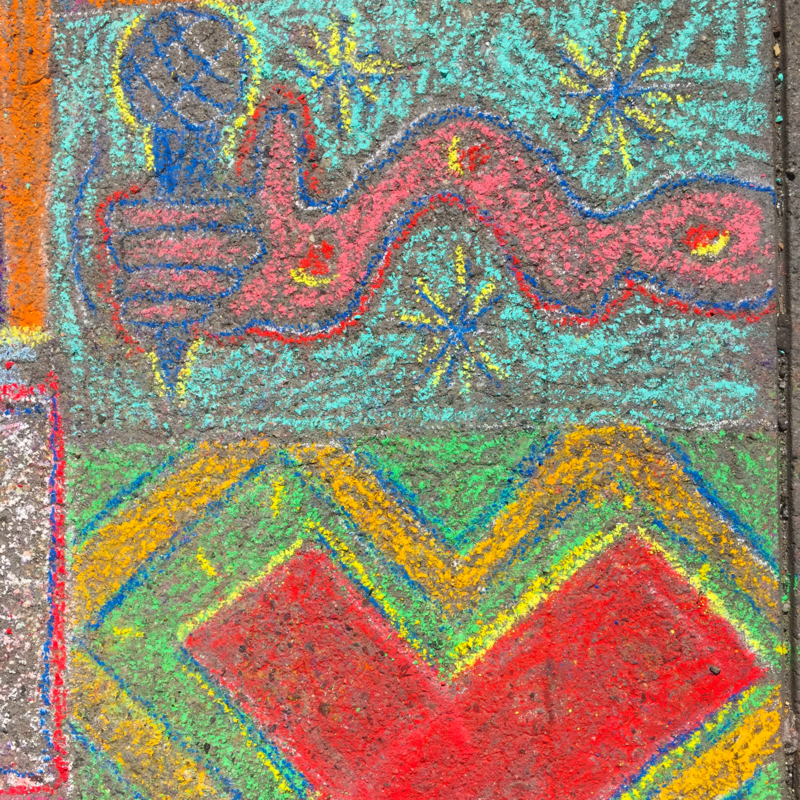 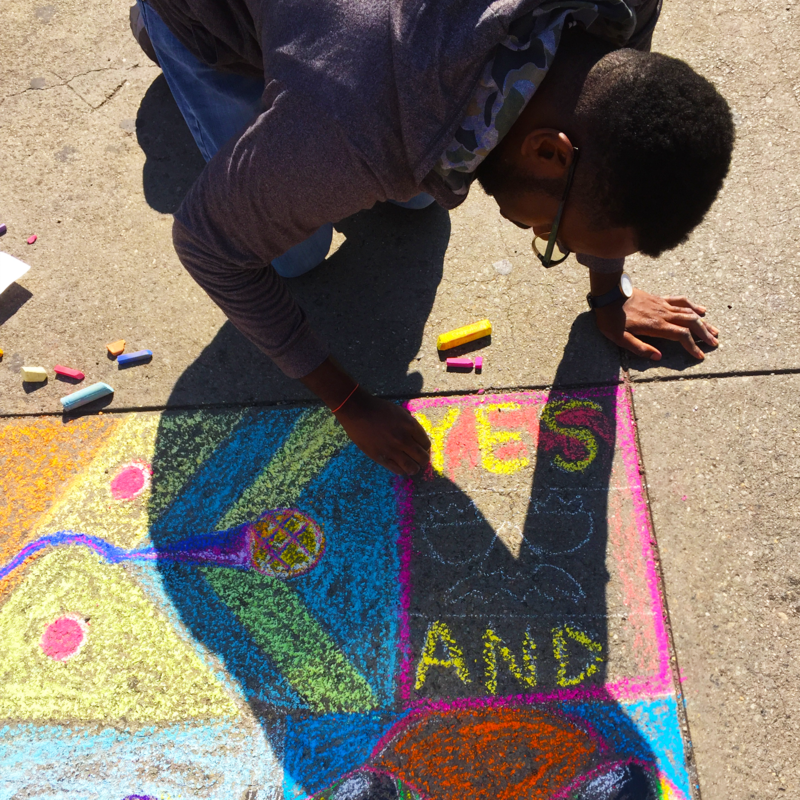 During #TTComedyMonth we had the chance to collaborate with Grant Lindahl on bringing the funny to the streets of New York – chalk art style! 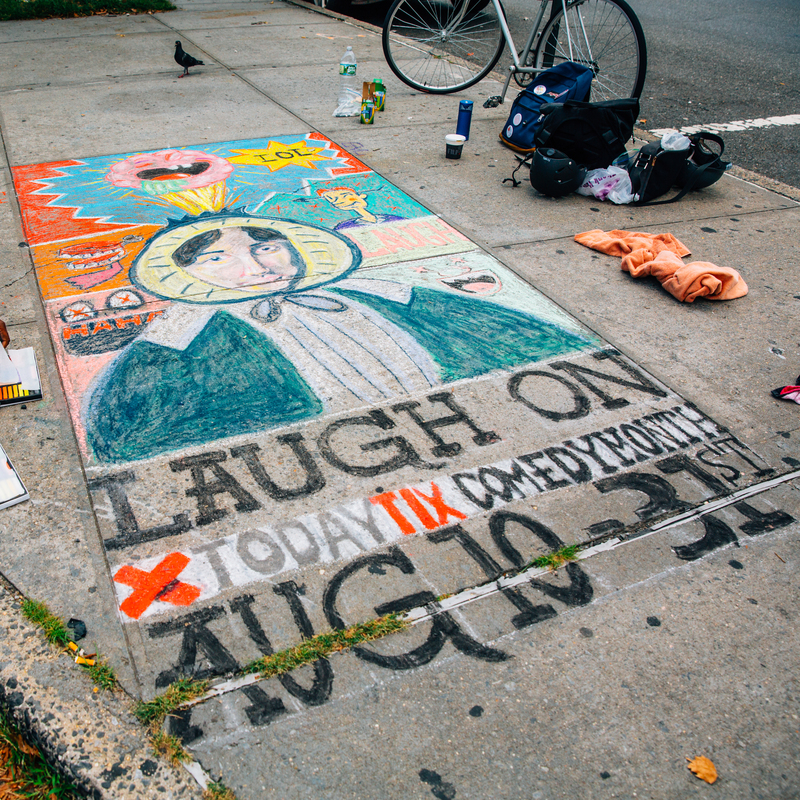 Grant is an up-and-coming comedian, illustrator, and all around awesome artist. 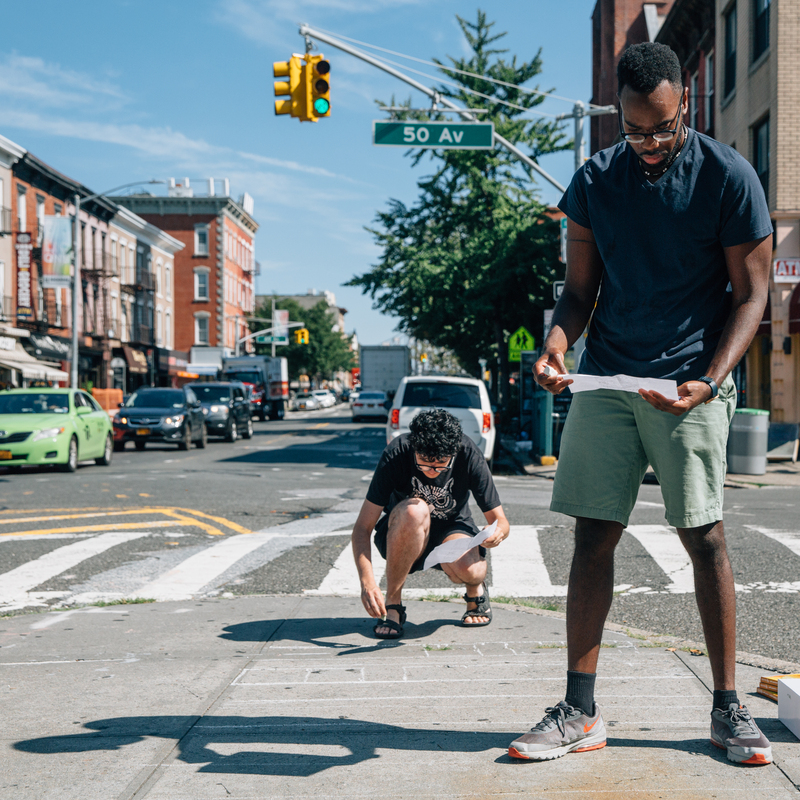 After graduating from MICA with a BFA in animation, Grant moved to New York where he works for Above Average and produces his hilarious and wacky monthly comedy show Art School Acid Drop Out at The Creek and the Cave. 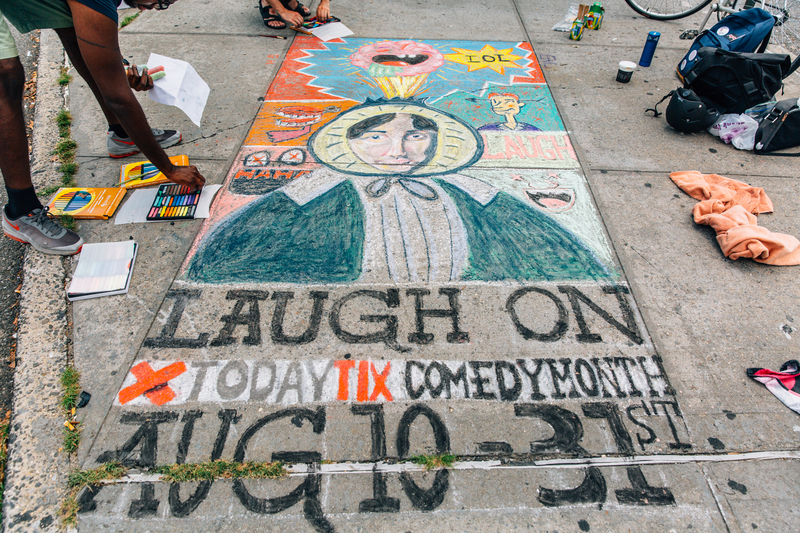 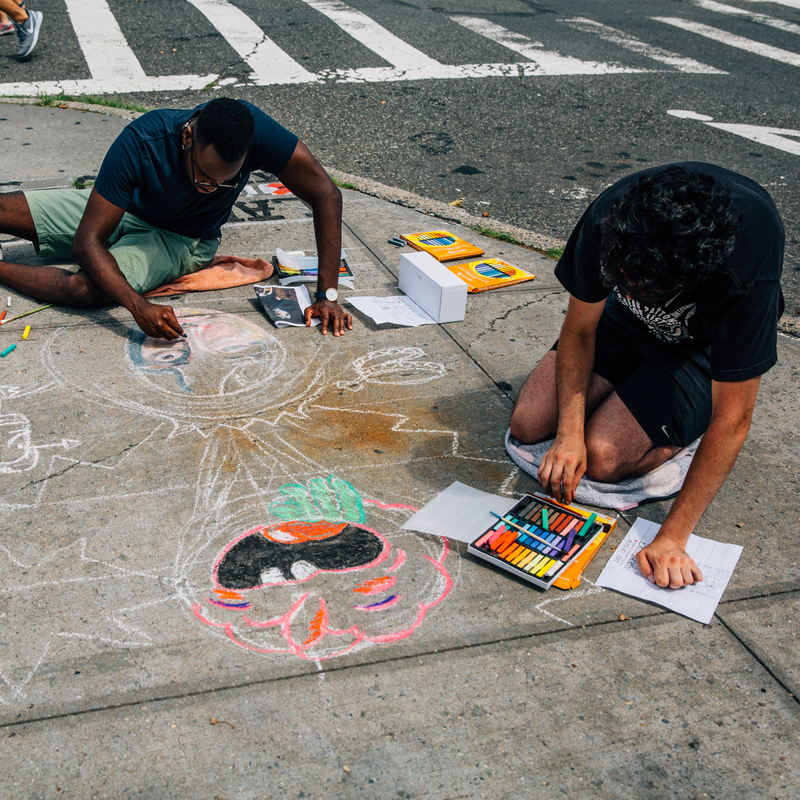 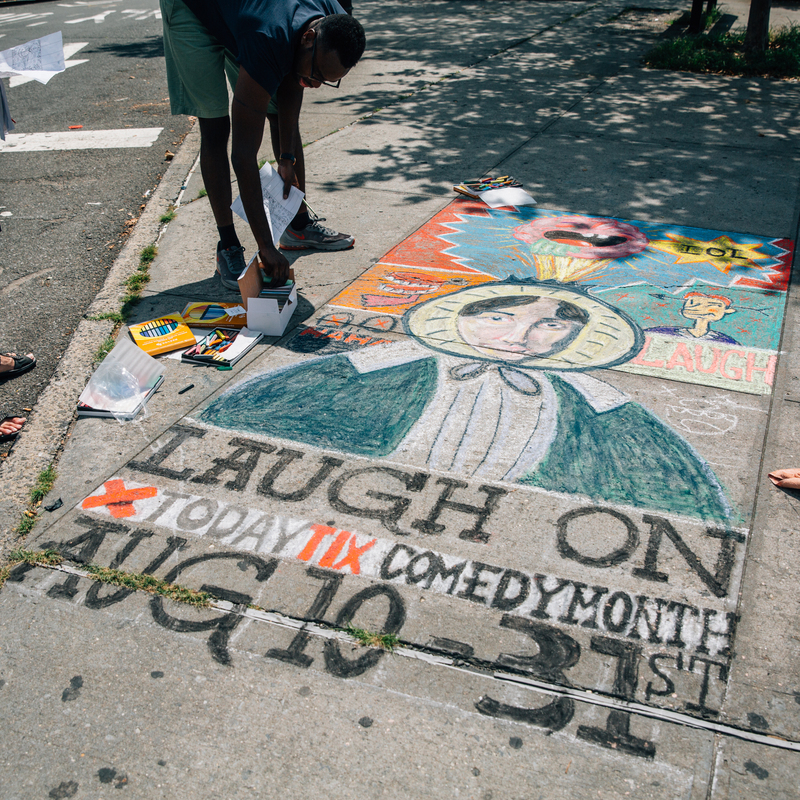 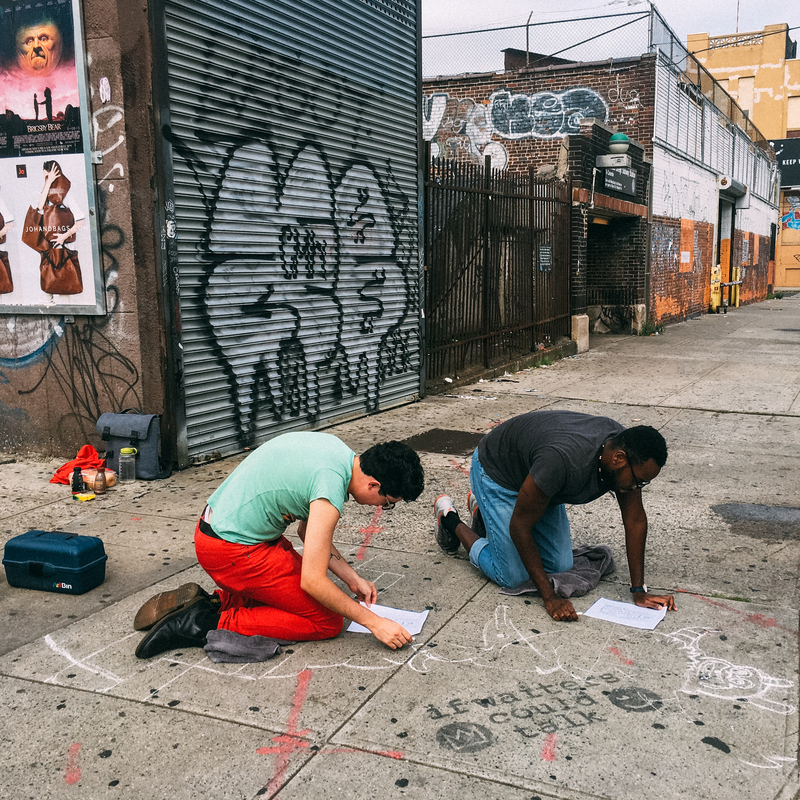 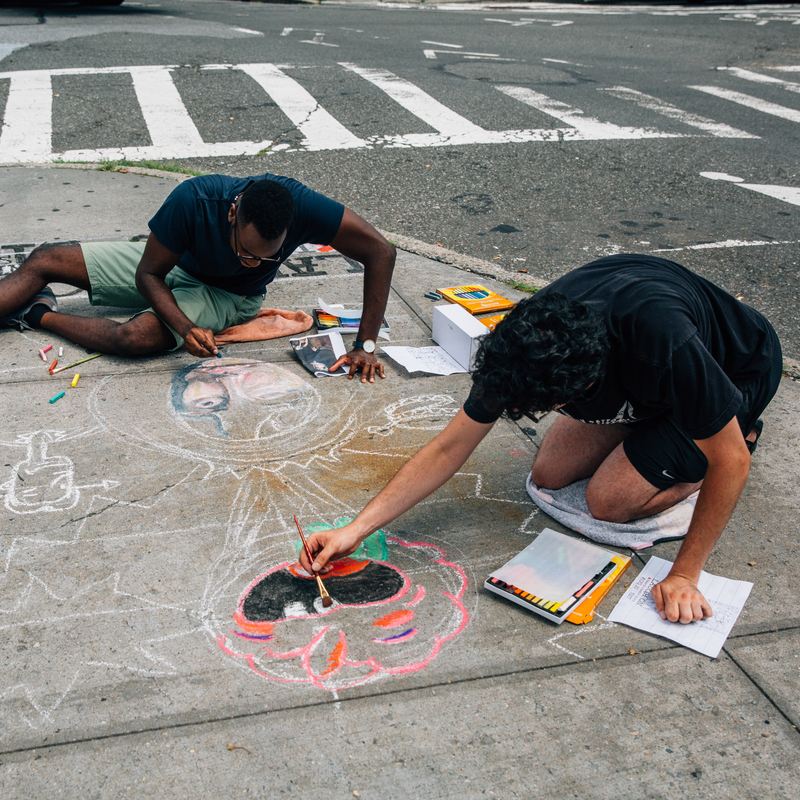 Grant teamed up with fellow animator and designer Godfrey Hibbert to create three vivid chalk art murals on the streets of New York in honor of Comedy Month. 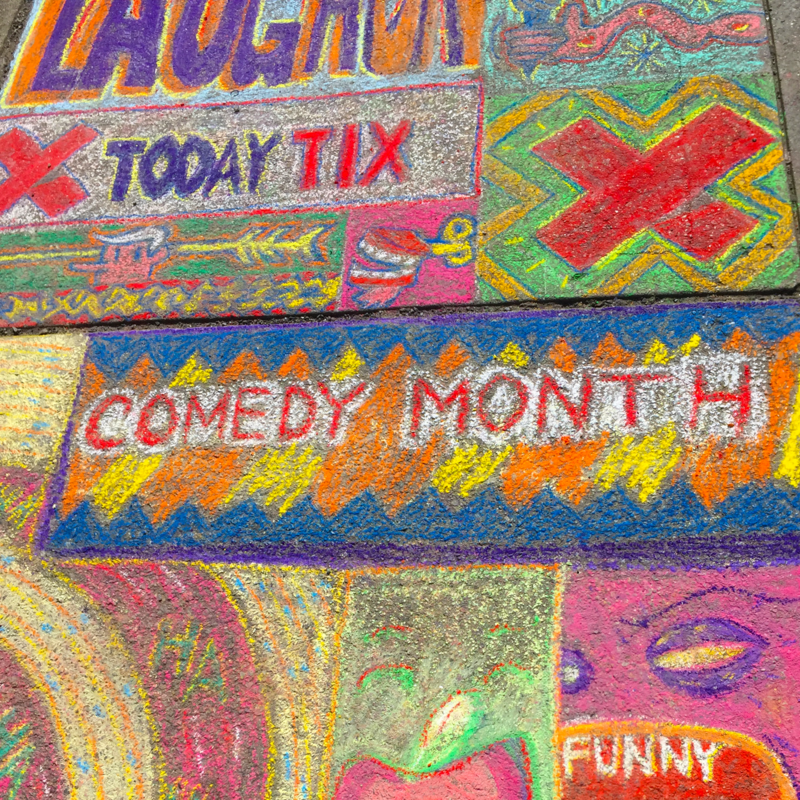 Check out the murals below! 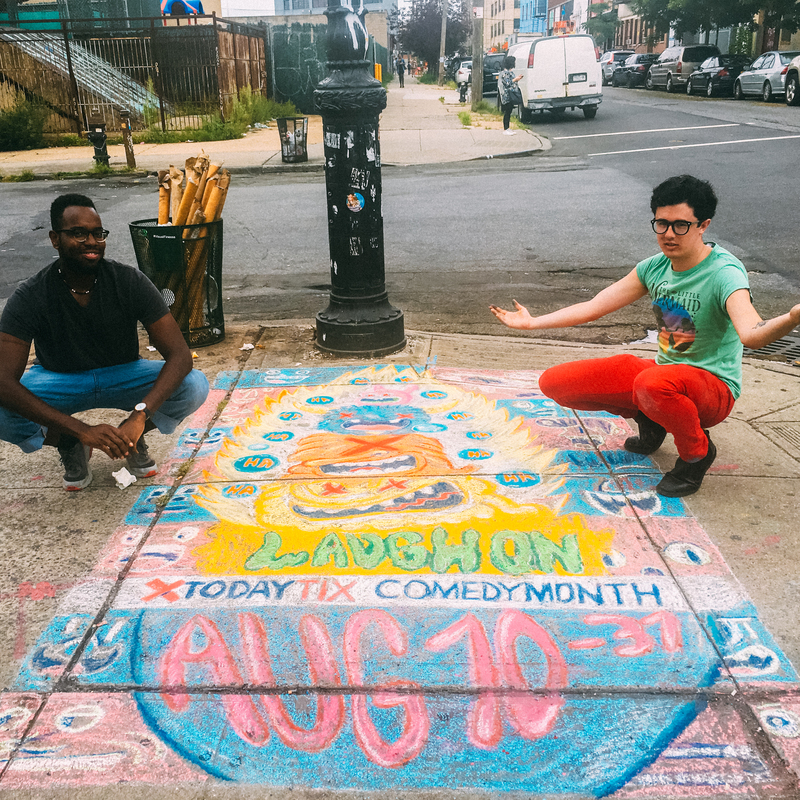 Make sure to follow Acid Art School Drop Out on Instagram and Twitter to keep up with Grant and co and check out comedy on TodayTix with #TTComedyMonth.